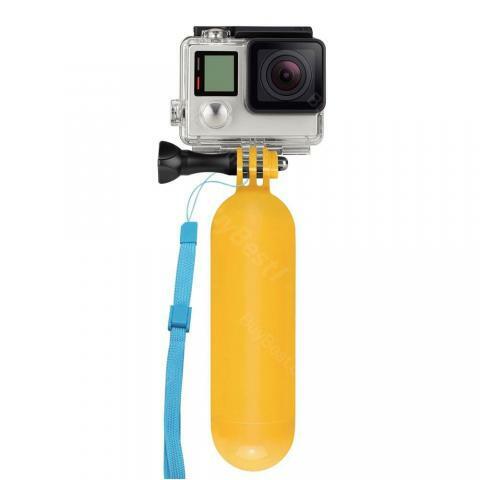 Gopro professional custom - GOPRO Handheld Diving Buoyancy Bar, is designed for Gopro and be used in water sports self-timer, such as: surfing, diving, etc. • Adjustable wrist strap, so you have double protection. Everything is fine. Fast shipping. All match the description. Perfect quality. Cannot compare to any 3rd party accessory.Perfect quality. Cannot compare to any 3rd party accessory. Great item. Comes with wrist strap and hand strap. Each strap is used individually. You either use the wrist mount or the hand mount. May not fit extremely large hands. Works perfectly and gave me some great shots at Disney.It is also great for when you need your hands free. its amazing. highly recommended I am very impressed with this product its work very well. I bought this item to wear during rides to capture my kids expressions and it has brought a lifetime of laughter on the reactions that I have captured.Easy to use and sturdy to trust my memory fillled GoPro. Nice product - solid construction. I don't worry that the camera will break off or anything, like some of the other similar offerings/reviews I saw when I was shopping for this. I'm pretty happy with this - got it specifically to take the camera on roller-coasters.